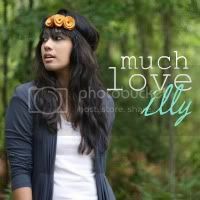 much love, illy: sponsor love + giveaway: Jennifer of Simplistic Living. sponsor love + giveaway: Jennifer of Simplistic Living. meet Jennifer of Simplistic Living. 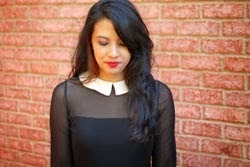 Hi guys I'm Jenn and I blog over at Simplistic Living! Simplistic Living is a lifestyle blog all about the little things I love in life. I love to share DIY, recipes, adventures I go on with my husband, newlywed life, and anything else I find interesting. I am addicted to coffee, books, Instagram, yoga, and crafting. Stop on by and get to know me! i have personally enjoyed reading Jennifer's blog particularly loving this Project life post (i have been wanting to try it for forever - i think she just inspired me to take the leap!) and as a big fan of lists, i loved this honest and thoughtful list on what she has learned during her newly wed life. she is absolutely adorable and real and i think many of you will adore her! 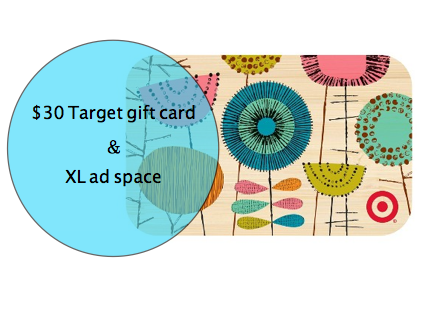 today Jennifer is generously giving away a $30 Target gift card and an XL ad space on her blog! woohoo! Giveaway is open to U.S. Much Love, illy readers thru March 4th, 2013. Winner will be announced on March 5th, 2013. Oh fun! I read + love Jennifer's blog :) xoxo! Has a winner been selected for this giveaway!? Curious, since I've been checking back.